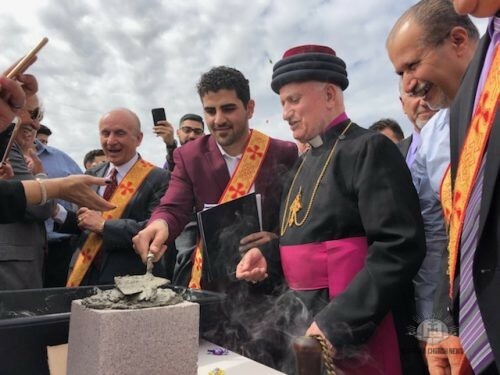 On the Second Sunday of the the Great Fast, after the celebration of the Holy Qurbana, His Grace Mar Aprim Khamis, Bishop of the Western United States, Rev. Archdeacon Frederick Hermiz, Rev. Koshaba Sholimun, and the Rev. 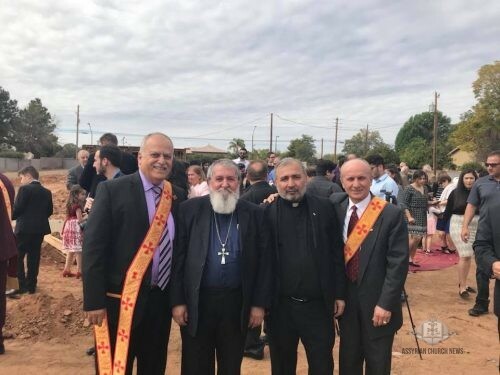 Deacons along with the faithful of Mar Yosip Khannisho Parish laid the foundation stone of their church in Gilbert, Arizona. The clergy commenced the service with a procession of chanting antiphons (oniyathe) unto the construction site. 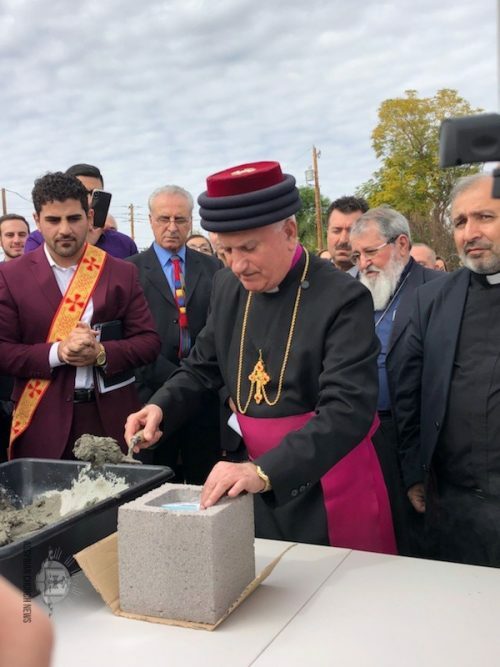 His Grace Mar Aprim Khamis then placed a picture of the blessed Mar Yosip Khannisho into a brick to be the cornerstone of the Church and delivered a brief history of the parish acknowledging the help of the loyal members of the Assyrian Church of the East and Assyrian nation throughout the years. 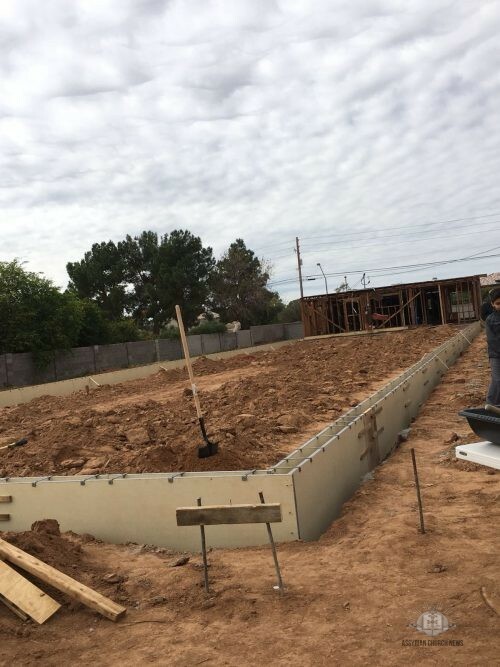 The church is expected to be completed in 6-7 months by the grace of God and the donations of faithful members of the Church worldwide. 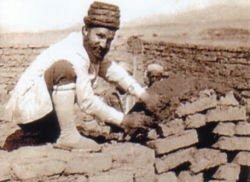 If you are interested in donating a personalized brick, which will be placed in the entrance hallway of the new church, please visit www.projectmaryosip.com and for other various donation visit, GoFundMe.com/ProjectMarYosip.